Is your home safe from flooding? Don’t wait til it’s too late Call us today at 630-495-0960, and get reliable and professional sump pump services! Protecting your family and home is important and probably tops the list of your priorities as a homeowner. One way to protect your home is by installing a sump pump. These units are excellent at protecting your home from floods and water damage. The unit best suited for your home largely depends on your budget, the size of your space, as well as the amount of water you experience. What do you do if your power goes out during a storm? Unfortunately the most expensive sump pump in the world will do you no good without power, however there are options! At S.L.S. Pluming Heating & Cooling we offer some fantastic battery powered back up systems for your sump pump. A sump pump is a small appliance that is installed in the basement of buildings or homes to pipe out water, melting ice, and snow. But, before a sump pump can start to pump the water out of the basement, it has to reach it. That is one reason why they are generally fitted within a sump pit. The best units come with a heavy-duty pumping mechanism to pump out water that has collected in the basin, a large battery, and a battery charger, as well as an alarm to alert you whenever water reaches a certain level. Sump pumps are usually fitted in basements because this is where flooding occurs. As water accumulates in the basin, the unit kicks on and begins pumping it out through different connected pipes. It can either drain the water into a well or storm drain. Our plumbing specialists can proudly offer you excellent installation services to keep your home dry all year round. If you live in an area that is prone to flooding, installing a sump pump is a wise precaution to take. Although one might be inclined to overlook the problem of water collecting in the basement, particularly if it’s infrequent, this is not a good idea. The presence of water in your home’s basement may cause real damage to your home. 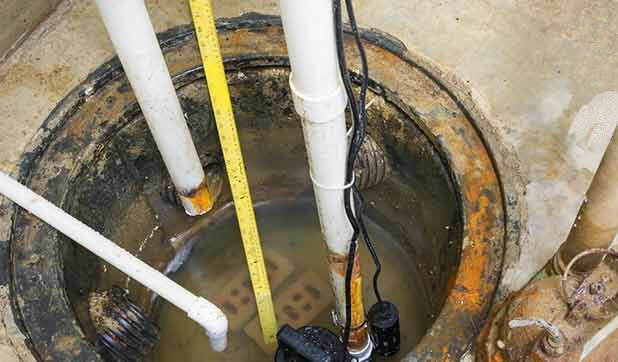 Some sump pumps feature an alarm to alert you when there are leaks. When water levels in a sump pit rise to a particular level, the unit automatically starts to move the water out to the surface grade. Therefore, you don’t have to be at home to turn it on. Without the mechanism to sense the presence of excess water, you will experience flooding which can cause structural issues, bad odors, and mold growth. Our plumbing experts are proud to provide you with good quality installation services to help you keep your basement in good condition for a long time. There are two common types of sump pumps on the market. They are a submersible type and a pedestal type. Submersible Pumps: This type of unit is mostly used in residential homes as it offers many benefits, enough to warrant investment if pumping is a frequent part of your operation. One benefit to it is in the way it is made. It comes with a pump that is positioned beneath the water, offering a quiet and more efficient operation. The submersible pump is more durable and can endure serious working conditions, particularly in situations where other pumps would be hard pressed to operate. It is also cheap and easier to operate. Pedestal Pumps: A pedestal pump comes with an impeller at the bottom and a motor that sits above the pit level, making it noisier than its submersible counterpart. There’s no pit wall of water to absorb the noise. Because the pedestal sump pump motor is more visible, it is more accessible to repair. It works well with deep sump pits and is easy to operate. It can either be activated manually or set up to start automatically. S.L.S. Plumbing Heating & Cooling is your trusted licensed plumbing company. We provide homeowners with the best sump pump solutions. Our highly trained technicians will help you choose a unit that suits both your drainage needs and pocket. In addition to helping you choose the best model, we will install it in a timely and professional manner. We also offer repair and maintenance services 24 hours a day, 7 days a week. Looking to keep water out of your home’s basement? 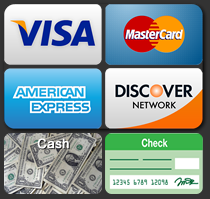 Contact us today at 630-495-0960 and find out more about our services!